While on the road, Betty Who took a moment to provide State In The Real with some insight into her sound, career and live performance. Check it out! 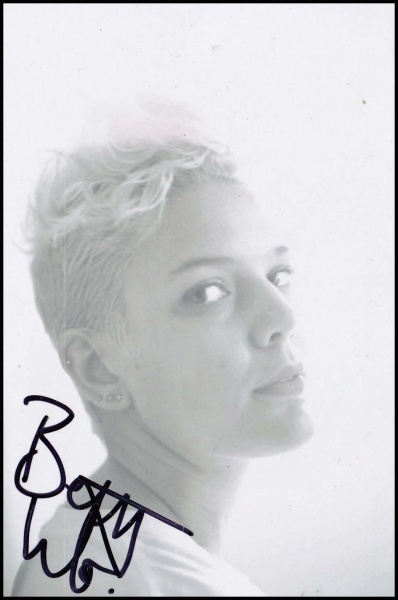 Also, connect with Betty Who on YouTube, Facebook, Instagram and Twitter. Her official site can be found here. What inspires you to create? Do you write from personal experience? My every day environment. I learn from my relationships and my friends relationships and experiences. Describe your dynamic with producer Peter Thomas. He and I are best friends first, before we are creative partners. He understands me musically and emotionally far better than most people do, and we’ve been working together for so long now that our working relationship is usually really seamless and easy. “Heartbreak Dream” has a sense of pop euphoria that makes the complexities of a relationship seem bearable. Is there a story behind the track? There is definitely a long story behind the track. There was a man in my life that I couldn’t seem to let go of for a couple years, even though I knew we were so bad for each other. Every time we would get together, he would make me sad and I would make him angry and it was this never ending cycle of passion and hurt. I wrote this song right around the point in my life when he and I probably both decided that we needed to make a break. What elements of the recorded music do you aim to include in a live show? I want people to recognize the tracks and the recorded songs as they are but with live elements and real instruments so you still have the energy of a live show. Have you discovered fans enjoying any particular aspect of the live performance? High Society is definitely a fan favorite. You make music in a genre often forcing artists to change. How have you managed to be the exception to this trend? I make music honestly and about what I feel and love. I think what was helpful is that I spent a few years developing the project on my own before I brought on a bigger team. Where do you see the current state of pop music heading? Have you thought much about this when recording the full-length album? I think pop music is alive and well and the internet is only making things more exciting. Good pop music will continue to stand out as good music and I truly believe in it. What can you share about the upcoming record? It’s coming along nicely… I’ll let you know more when I know more! Okay. Rapid Fire. First thing that comes to mind.